Make a Gift to Support Project Angel Heart! Thanks for participating in Dining Out For Life and supporting the portion of our program that provides meals for people living with HIV/AIDS. In appreciation of your support, you'll automatically be entered in our prize drawing. Give $25 or more and your gift will be doubled! Great news...gifts of $25+ will be matched--dollar for dollar--by the Lu Foundation (up to a total of $25,000)! 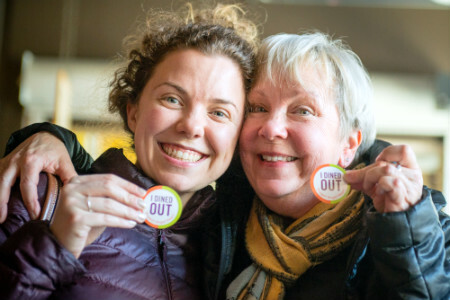 Please enter your gift to Dining Out For Life 2019. Check here to prevent your name from appearing on the donor list. Please note: your donation will not be anonymous to your volunteer ambassador (if applicable).